After testing the preferences of 2018 attendees in surveys, BookExpo and the New York Rights Fair have announced that while the two events will continue to be independently produced, they’ll both be together at the Javits Center in 2019. In an announcement that will cheer many who attended BookExpo 2018 in late May and early June, BookExpo and the New York Rights Fair have announced today (July 31) that both events will run simultaneously at the Jacob Javits Center in New York next spring. BookExpo and the rights fair are set for May 29 to 31, with BookCon following as usual on June 1 and 2. As Publishing Perspectives has reported, many found it difficult for trade show and rights fair goers to move back and forth between the Javits Center and the Metropolitan Pavilion, almost two miles away, in Manhattan’s workday traffic—despite the provision of a shuttle bus. The shuttle bus at times took 45 minutes to an hour to make the trip between the Javits and the Metropolitan, working its way through New York City’s crowded streets. 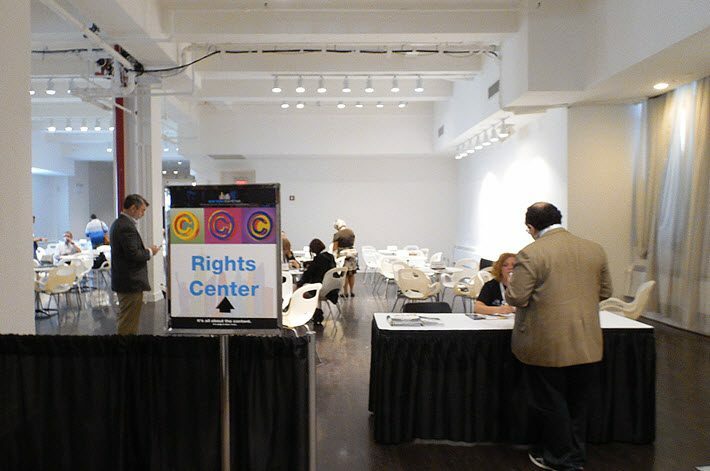 The 2018 edition of the New York Rights Fair was the first iteration of the event not under producing auspices of Reed Exhibitions. Until this year, BookExpo included an International Rights Center in its floorplan, as do most major trade shows. The New York Rights Fair is produced by BolognaFiere, Publishers Weekly, and the Combined Book Exhibit, and represented this year a kind of takeover of the rights-trading element of BookExpo. 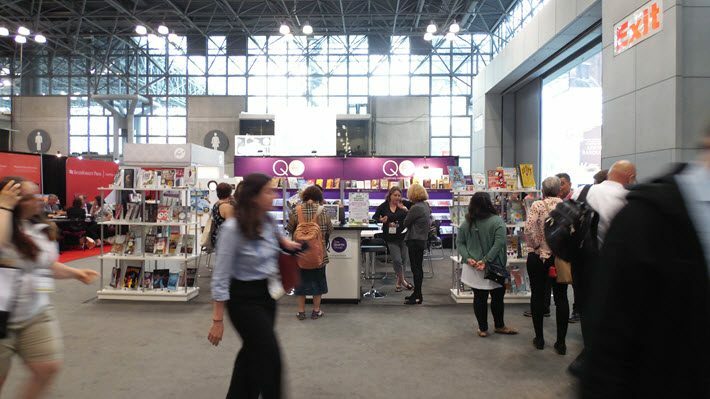 While BookExpo and the rights fair announced in June that they were entering a “multiyear partnership,” the rights fair got off to a challenging start and BookExpo was seen by many as being diminished by not having rights trading in place as part of its offer. As we reported in June, both shows, BookExpo and the rights fair, were surveying attendees, and it may be that the results of those surveys indicated that getting rights trading and the trade show back under the Javits roof is the way to go. In a prepared statement, Ed Several, BookExpo’s senior vice-president, is quoted, saying, “Books are driving some of the most successful content for film and streaming platforms. We’re excited to be working with New York Rights Fair to meet the needs of our domestic and international publishers in the heart of New York City, the publishing hub of the world. Rights specialists are becoming more central to the globalized industry of publishing, not less so. And it can be expected that the synergy between the book trade and its rights and licensing activities will be enhanced by having the rights trading hub back in place at the Javits in this move to “colocate” the rights fair and the trade show. More from Publishing Perspectives on the New York Rights Fair is here and on BookExpo is here.